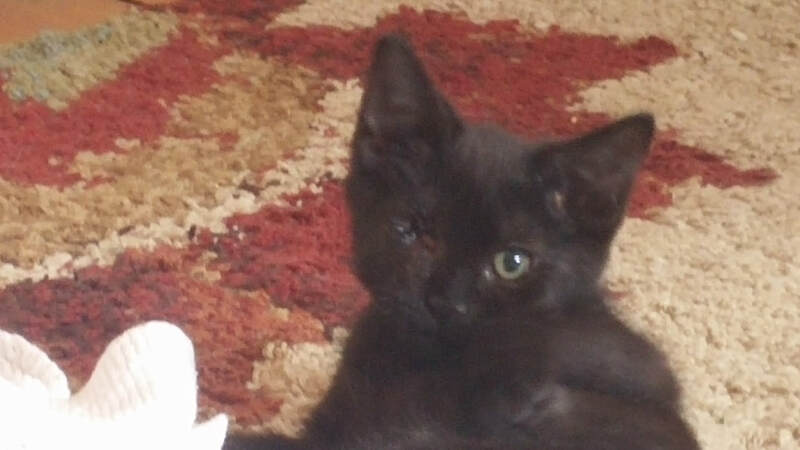 Phryne was born in a barn, and only had one functioning eye when she came to us. That doesn't stop her from enjoying life to the fullest! She is a sweet and incredibly playful kitten. She loves to climb all over her foster parents, and love them up! She wrestles and plays with her two foster sisters and doesn't realize she is different in any way. It's no mystery that Phryne is an amazing little kitten who will make a wonderful addition to her family.